Tata Motors is going all out in its efforts to promote and propagate itself as a global brand. Recently, the company roped in Nissho Motor Espana, distributors of Tata in Spain, who in turn hired an internationally famed fashion house to redesign the Tata Indica to cater to the taste of the Spaniards. The result was the left hand drive Indica Vista, which was inaugurated by Monica Cruz, sister of Hollywood star Penelope Cruz. 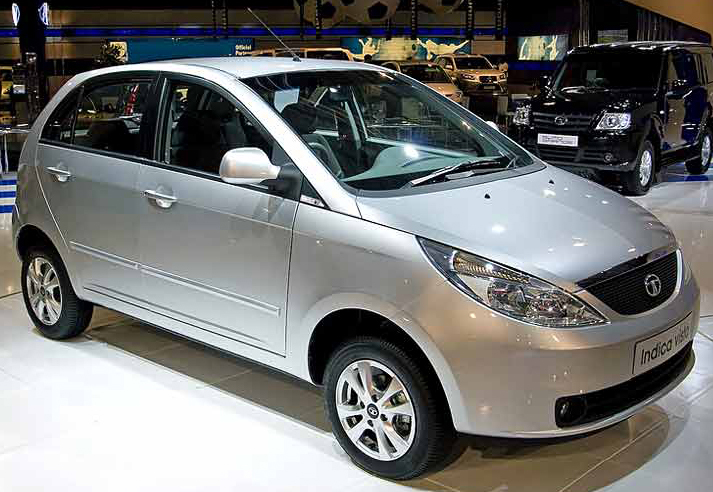 Tata Motors is doing its best, taking into consideration the unsatisfactory economic conditions of Spain, by keeping the price of the Indica Vista within the reach of common people. Not many global automobile manufacturers have seen the wisdom in this, but Tata Motors remains confident of its success with this model and its competitive pricing. The Tata Indica made a tactical retreat as it did not meet Spain’s strict and non-compromising emission and safety laws and therefore introduced the Indica Vista. Soon to follow will be the Aria and Xenox models. Tata has stuck to black interiors as Europeans in general have an aversion to the colors beige and chrome. Tata has also thought it prudent to omit the Indica insignia from the bonnet as well. Spain, incidentally, is the first country to receive the left hand drive model from Tata Motors, which also features headlamps and grille (not chrome) similar to that of the Manza. Tata Motors has also appointed a new distributor NijulerAutomocion to create the dealer and service network all over Spain. The car at present has two variants. The petrol version has a 1.2 liter-1172 cc engine with a spanking new C510 gear box which throttles to 65 PS at 5500 revolution per minute with a torque capacity of 96Nm. The diesel variant has a 1.4 liter 1405 cc, turbo cooled TDI diesel engine, a new TA 65 gearbox capable of producing 71 PS at 4500 revolutions per minute, torque of 135Nm at 2500 revolutions per minute.